We saw the Galaxy Premier a few days ago on a Twitter leak and now Samsung has made their latest phone official. The Samsung Galaxy Premier delivers a scaled down version of the Galaxy SIII with a smaller price tag and less powerful processor. The Premier has a dual-core processor and 1GB RAM as well as Android 4.1 on board. The phone has an 8-megapixel camera for taking snaps as well as a 1.9-megapixel one for video chats. The 4.65-inch display has a resolution of 1280×720 and NFC, DLNA, Wi-Fi and 3.5G are all on board giving a comprehensive set of connection options. Social network services, a multimedia player and image/video editing software are on board as well as SMS, MMS, Email and instant messaging support. 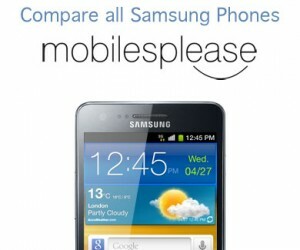 These specs put the phone in between the Samsung Galaxy SIII and the Android Samsung Galaxy SIII Mini giving Samsung a good choice of phones at all price points. The phone has been officially launched in the Ukraine with no confirmation of a UK date yet but we can expect it to hit our shops this month.